I'm currently looking at getting a 240 series wagon as a project, just had a couple of cosmetic questions, my only knowledge is straight off wikipedia so please correct me! I like the 1975-80? style grille and circular headlights, as well as front bar, like in the photos above. 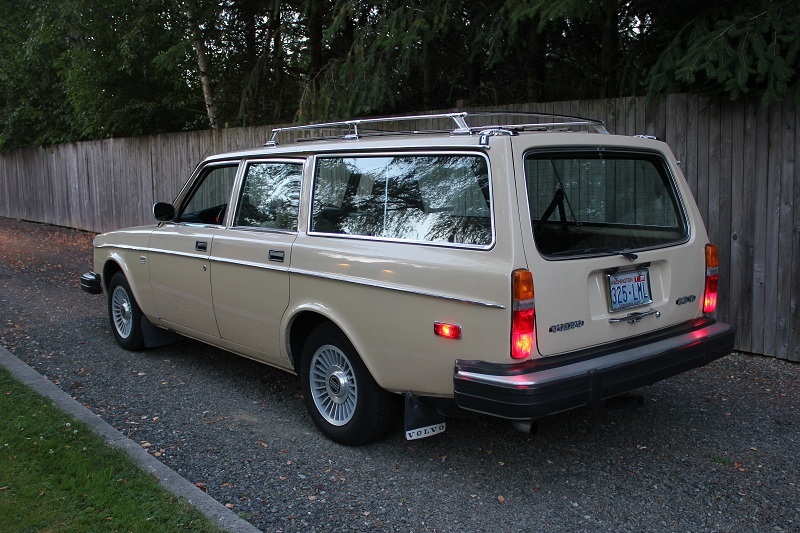 Would the front quarter panels, lights/grille/ront bar bolt onto a 80-93 style wagon like below? Also the rear parts such as taillights and boot lid. I thought it may be easier to find a good condition, later model that I could fit the parts that I wanted, unless the old models come up every now and then. 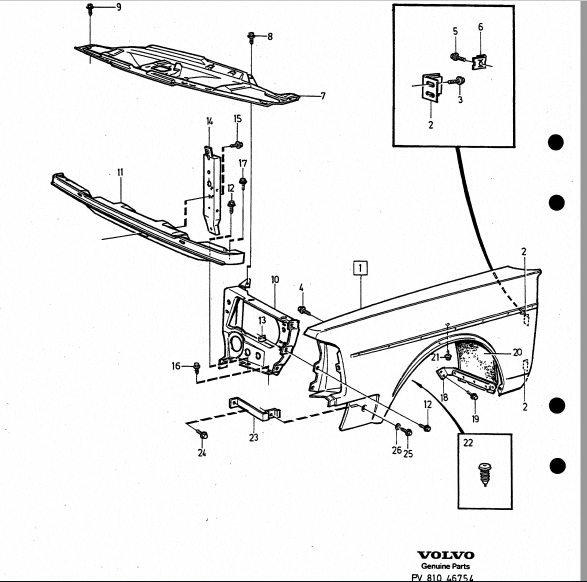 Yes the front end is swappable for all model 240's. However from 86 onwards the cowl under the windscreen was updated to a new design, and thus a new bonnet was used to match the different styling lines of the new cowl. If you bolt on an earlier front end on a later car, the cowl will not match the bonnet. There are pictures out there of how this looks, but to make it easier for you I'll just tell you it looks cheap and crap - big gaping gaps. To make the swap you basically need all panels from the guards forward, possibly a different bonnet too. I don't have experience with the wagons, but you can see in the photos the taillights are different shapes - they won't go together. Go to turbobricks and search in the projects forum for a user named johnh. His red wagon thread does exactly what you want to do. @rez I have messaged you. 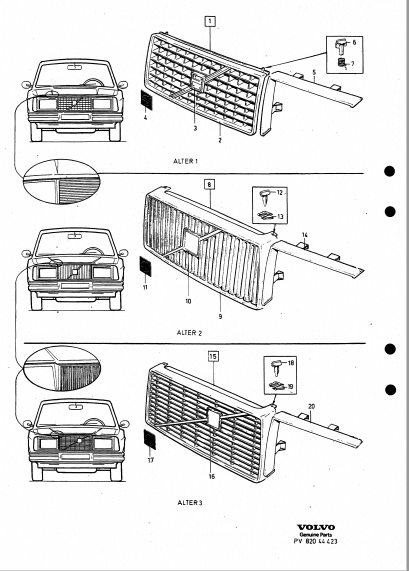 79-84 grilles - note the flathood and non-flathood variants. This are the USA variants. 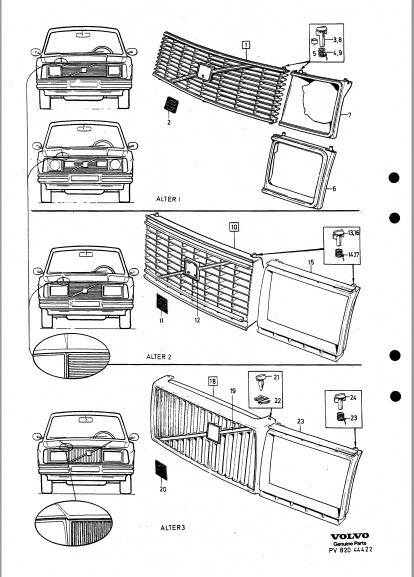 This topic interests me, since with the spare 242 bodyshell I have, I'm planning on going the other way - i.e. changing from the early twin rounds to the 1982 style front - as seen in the blue wagon pictured above, and which was also used on the all-conquering Gruppe A 240 Turbos. The "Knutplåt" (corner plates?) 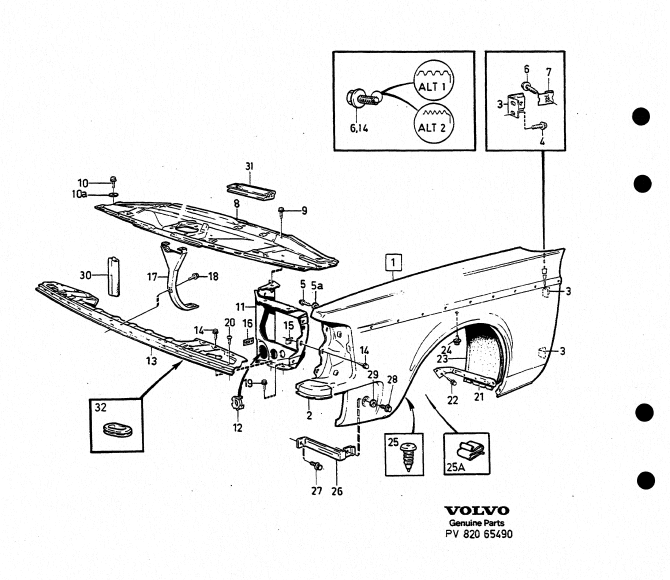 at  in the 79-84 front nose section attaches to the front guards of these earlier models. These are welded to , the Bottenplåt (bottom plate), of which the catalogs show several part numbers. This bottom plate seemed to change with the upgrade from commando bumpers and continuous upper rubber trim lip, to the plastic covered bumpers and three-piece upper trim arrangement with left and right hockey sticks and clip-on centre piece. The later model guards are different. They also don't seem to require any Knutplåts. 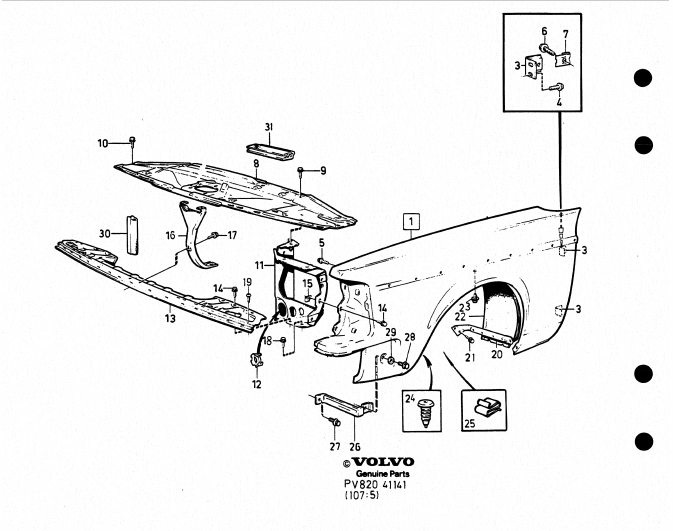 The Sidoplåts (side panels) at , , and  for the headlights are one of two variants, depending which variation of headlight you have. 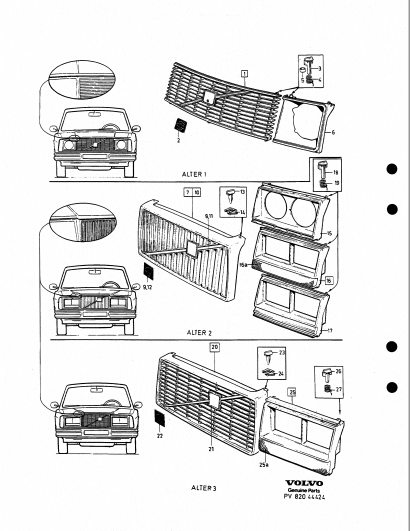 The USA setups used the same version as used with the round headlight setup in 79-84, while the book says other markets used the square headlight Sidoplåts from 1981 models onward. From 1985 on, they are all basically all the same, although the book shows a part number change for the RH one from 1991 on. 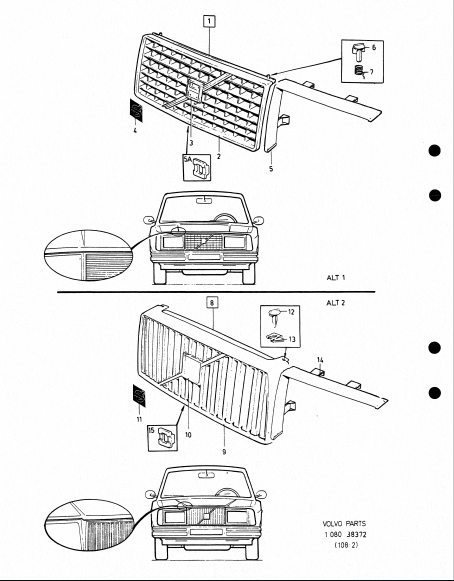 The top cover plate (  in the 79-84,  in the 85-87, and  in the 88+) are all the same part number. And that protective moulding seen at  in the first two versions, but missing from the 88+? That was on the turbos.